The dust has kinda settled, and to those who knew what happened and/or read my post 2 weeks back and provided comfort in one way or another, I want to say "Thank You". It made me feel better being able to talk about it, despite doing it here and via the mobile. The wonders of modern technology. No need for face to face conversations in case the tears cannot stop flowing. While the physical pain has subsided, the memory remains. I don't think it will ever really go away. I was just chatting with a dear friend about what happened. She went through the same some years back. Today, there are still tears when it's being mentioned. At that time, I can only be the one who listened and comforted. Today, I totally feel her. Going back to work this week was pretty tough. Most people avoid asking about what happened. But there are some who will probe. And in a few interesting conversations, I had not one, but 2 people congratulating me on my recent pregnancy. All in good cheer and excitement, while I politely accepted, I added a "...but I ended it". Don't get me wrong. I would love to share the experience especially when I realise there are ladies out there (some already mothers) who know little or nothing about ectopic pregnancies, which can happen in 1 out of every 100 pregnancies. However, when I have to start talking about it... in front of people... tears just wells up in my eyes. So, I guess I will leave the sharing here. Sometimes known as tubal pregnancies, they occur when a fertilised egg attaches itself onto the fallopian tube(s) or another organ other than the uterus. When that happens, the baby will not survive, and the mother will find herself in grave danger. 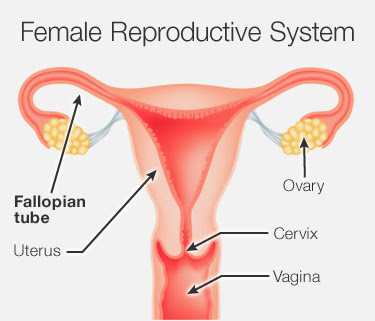 In most instances, they occur in the fallopian tubes, hence the term tubal pregnancies. Ectopic pregnancies are usually detected in the early weeks, and if it occurs in the tubes, the mother would have symptoms by week 6, or so my obgyn says. Symptoms are very similar to normal pregnancies, so one may not know it's ectopic. When an ectopic pregnancy is not detected early enough, the fallopian tubes will rupture leading to hemorrhage and put the mother's life in danger. As this can happen to anyone (although there are some who are at a higher risk), it is important to recognise the symptoms and seek medical help promptly. There are possibilities of removing the pregnancy without any surgery by injecting a drug called methotrexate when discovered early enough. In most cases, a laproscopic surgery is required. I felt almost all of the above. In fact, 2 weeks prior to the incident, I was having all possible pregnancy symptoms Morning sickness, lost of appetite craving for things I don't usually like to eat, aversion for coffee which I love and extreme exhaustion. I go to bed when J does at 8.30pm. But, all these did not ring the alarm bells for me , as I WAS NOT SUPPOSED TO BE PREGNANT. The SO-IUI cycle I had was supposed to be a failed one as I had a full-blown, ultra heavy period before we can even start testing for pregnancy. When I eventually pee-d on the stick (5 times to be sure), it all came back negative. By the time, the pelvic pain, back pain, diarrhea and fainting came, it was all too late. It was also at that point I prayed to God for this not to be an ectopic pregnancy. I, of all people should have known all these too well as I am at risk. So ... you can suddenly find out you are pregnant even after what you think might be a period. Don't ask me how ... all I know is it happened to me. 4) Any surgery in the uterus area that may cause scar tissue to form around the tubes. 5) Pelvic Inflammatory disease which may also have caused scarring and adhesion near the tubes. Can you still get pregnant after an Ectopic Pregnancy? The straight answer is "Yes". However, as mentioned above, you will be at a risk of a repeat ectopic pregnancy. Also, depending on whether the fallopian tube in question has been preserved, you can either still conceive with both your tubes, and just the one that's left. My advice would be to get an assessment done by an obgyn after the unfortunate incident. In my case, I was already seeking help in the fertility side of things. So, being in the groove of trying for number 2, this recent set back has brought us back to ground zero where we will need to get a HSG (HysteroSalpingoGram) done to check if pregnancy is still viable on the tube that's left. If it does not bode well, then we will need to consider IVF. We are trying to stay positive, and praying for the best. The support I have gotten from close friends have been invaluable for me move on quickly. So, once again, thanks to those who have been on their whatsapp with me over the past 2 weeks. I hope this sharing can help others become more aware of these risks when trying to conceive. Thanks for reading, and till my next post, enjoy the rest of the week!